The Triumph Triple Challenge series returned for its 7th consecutive season in 2013 with a new look and feel to the series, which again ran over nine rounds of the British Superbike series. This year’s challenge riders were treated to the all new for 2013 Triumph 675R machine. Previous years of the challenge had ran with the standard Triumph 675, and never before had the top of the range R model been used as the challenge race bike. Pirelli tyres, Brembo brakes and Öhlins suspension for 2013, also made the series much more appealing to the aspiring BSB rider. The main championship prize remained as in previous years, with T3 racing offering a British Supersport ride to the winner! A prize which many could only dream of, with Supersport rides ranging from £40,000 a year upwards to non established riders. It’s also worth pointing out that the winner of the Superstock 600 class at BSB actually wins no prize or ride for winning the National championship. This in turn makes the Triumph series all the more appealing to the aspiring racers without a big budget. The somewhat dull past mandatory colour scheme was also replaced for 2013; teams were now allowed to paint their bikes in their own colours. This made the racing not only more vibrant but also easier to watch both on and off track, as you could now make out who was who! This resulted in a bumper entry for the 2013 season with a full grid of 35 riders having registered for the series, 2013 was set to be the best year of the challenge yet. As the Triumph Daytona 675R was a new model, parts proved very hard to get hold of in time for the start of the season. This chipped into a lot of competitors testing time. Added to this was a terrible March weather. This meant many competitors arrived at round 1 to Brands Hatch, having not had a lot of testing on the all-new bike. However this didn’t hold back Freddie Pett on his Dales Racing M40 Triumph, as he stormed to a dominant double at the opening round. Meanwhile others struggled to get their heads around the new Triumph. Some riders, myself included, felt the new bike was a lot different to ride and setup than the previous 675. The 2013 model seemed to and favour a more inline four styled riding style. It was apparent very early on that gearing and setup from the old Daytona didn’t translate to the new model, in any way shape or form. The baby blue colour scheme of former Triumph Young Guns winner Chrissy Rouse’s Stratstone Triumph, began to establish himself as the man to beat from round two at Thruxton. Pett had originally thrown down the gauntlet, but after crashing out at the club chicane at Thruxton and then again in the second race at Oulton Park at Shell oil’s hairpin, Pett had dropped to 4th in the standings. Rouse had by now already built up a lead of 26 points after winning the next three races. Returning South African series veteran Phil Atkinson on the Tsingtao entered machine, was in a consistent points scoring 2nd position at the 1/3rd distance in the series but was yet to look like taking the fight to Rouse. Other riders beginning to establish themselves at the front were Spanish rider Aleix Aulestia and Charlie King. Aulestia had headed overseas to the TTC as he believed it offered better value for money than racing in the CEV Spanish championships, which are more GP bike focused. Despite having to learn all of the circuits, Aleix managed to take his first victory of the season at Snetterton. The victory then launched him into title contention. Charlie King began the season as a little known 17-year-old BSB rookie. Charlie began to turn a lot of heads with his impressive 2nd place finishes at Outlon Park. King looked to be the find of the season, with his distinguishing yellow paint scheme and lanky frame he became the latest one to watch as his raw speed and enthusiasm were clear to see. King also looked to be the one most likely to push Rouse in dry conditions. The depth of field in this year’s series also proved to be the best yet, with not only lap records going at every round, but a consistent mix of 15 riders switching places from one round to the next. This was most evident in qualifying with championship leader Chrissy Rouse sometimes down on the third row of the grid. Pett, Aulestia, Atkinson and King were also at times finishing outside of the top 10. Many riders not even mentioned above were regularly beating race winners, but there are too many riders to mention, however special mentions must go out to cup champion Scott Pitchers and Dan Helyer. Rouse proved hard to beat over the duration of the season though, and consistently took victories in the main championship. Rouse really went on a rout from the 2nd round winning races at every round until a few glitches at Donington during round eight. This started off with a crash in qualifying, but he recovered to make the podium. This was only the second time this season Rouse had not won at least one race over a race weekend! Despite the early challenges, Chrissy managed to rack up 10 victories, which included four doubles at Oulton Park, Snetterton, Cadwell Park and Silverstone. Rouse was well on his way to the title by the middle of the season, and finally clinched the title at the penultimate round at Silverstone. Rouse now goes onto to pursue his dreams of racing in world championships, but for 2014 the series will return and potentially find the next big thing. 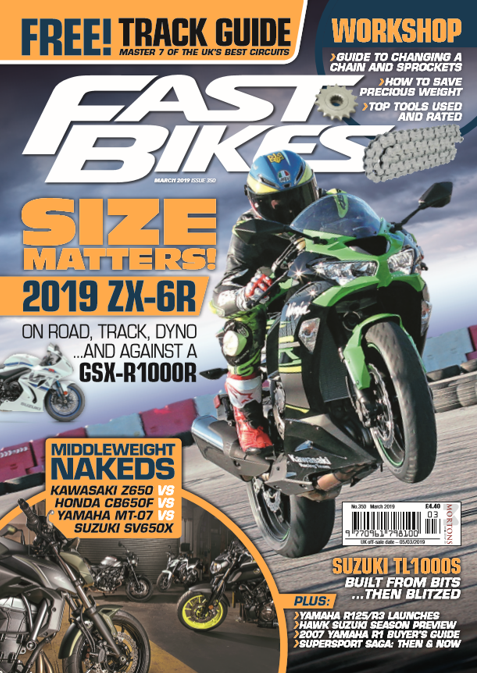 Previous Post:Fast Bikes Magazine January 2014 – OUT NOW!